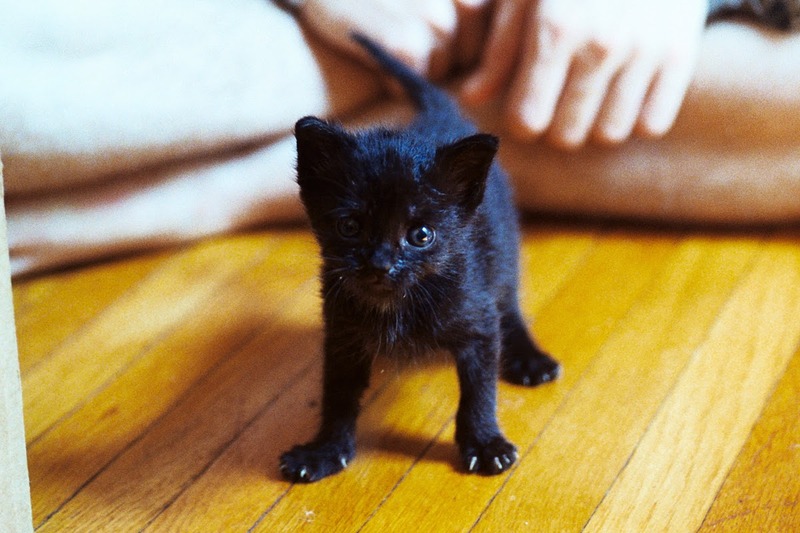 Nikon FE2 Micro-Nikkor 55mm f2.8 Kodak Ultramax 400 Arista C-41 - Not a perfect shot, but damn cute, this poor little kitten was abandoned by her mother, and we are now bottle feeding her. She is curious, mobile, demanding and above all adorable. A mother's loss is a kittens gain, as she will spend the rest of her life as a pampered indoor cat. Scanned using a Kodak Pakon F135 Plus using Pakon's OEM scanning software.